Can you just hear the crackle of the campfire and the crickets chirping? How about the sweet taste of marshmallows, chocolate, and graham crackers? The tent is set up in your favorite spot, right next to the tallest evergreen tree. You and the kids settle in to read a good book by the campfire just as… the school bell rings?? 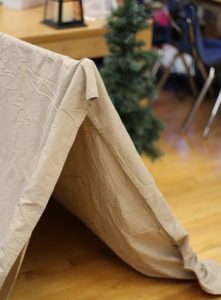 What first sounded like the description of a camp site in the wilderness, is actually a little tour of my classroom, transformed into a camping experience for a week of learning with my second-grade students. And while I knew that the week would be fun for my students, I learned these five additional things about a camping room transformation. As a kid growing up less than two hours from Glacier National Park, my parents took my sisters and I camping multiple times every summer. Those childhood experiences not only enriched my life with a love and appreciation of nature, but also precious family time and the best memories. While planning this room transformation, I worried if it would be "good enough" for my students. Will they notice that my back bulletin boards are actually just covered with dark blue paper? Will they think the trees in plastic pots are not authentic enough? After the first day of my week-long transformation, one of my colleagues told me that she'd visited with one of my students who was over the moon with excitement about the day we'd had at school. He kept trying to tell her about the marshmallow, chocolate, and graham cracker mix we'd made. He couldn't remember that it was S'mores trail mix because he'd never eaten a S'more before, let alone experienced a camping trip! While all the students loved the fun change to our room that week, it was truly magical for that one boy…and that made it that much more rewarding for me. 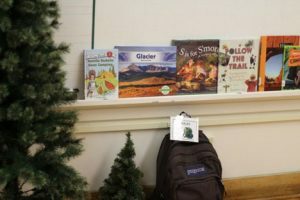 He gained the experience of reading by a crackling fire, the joy of crowding in a tent with his friends, and the memories of enjoying the traditions of a camping trip. 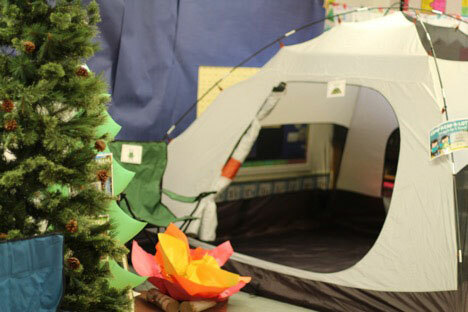 At first glance, a classroom set up like a campground might just look like an indoor playground. I have to admit myself that when I'm setting these up, I imagine a worse-case scenario where my kids become the wild animals we ultimately researched. 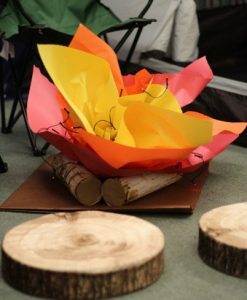 The slightest of changes in a child's environment can change his or her mood, response, and behavior, so a 6-man tent, 7 trees, camping chairs, and other camping props would certainly warrant utter chaos, right? Wrong! Just as every educator spends thoughtful, methodical time teaching the expectations and set-up of the regular classroom at the beginning of every school year, some well-defined expectations and procedures for the classroom campground completely set the students up for success. The buy-in is real; the kids are thrilled to have an exciting way to learn for the week. My students worked even harder than normal to earn their way into reading in the big tent, by the campfire, or under one of the trees. Those academic centers I mentioned? They were completely based off my standards I was going to teach that week anyway. The very standards you need to teach in a given week can be reworded to a camping scenario (How many more s'mores did we make yesterday than today?) or placed on a themed background task card (A little campfire or tent clipart anyone?). When my students needed review on adjectives and adverbs, we just used camping and outdoorsy examples of those parts of speech. My reading lessons on recognizing story elements were just as rigorous and relevant using a camping story I found at the public library as they would have been using the book that our reading curriculum suggested! 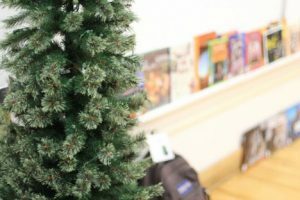 While you canmeticulously create or select only perfectly themed lessons for your room transformations, I can also assure you that a slight tweak to your regular lessons will turn your students into happy campers…who are also learning or reviewing the regular rigorous content of a typical school day. I would also suggest using room transformations both ways: as introduction to a new, challenging standard or as a review and wrap-up of a unit. 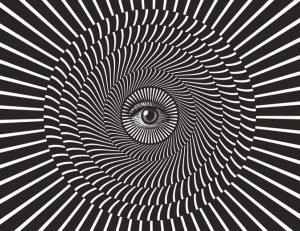 Used as an introduction, the students have a vivid, sensory-loaded memory as their first experience with that new standard. When continuing with the practice of that standard, a quick "remember when" back to the camping themed introduction to that topic can take the students right back to that fond and memorable lesson where that standard was first introduced. If used as a review, the students are a whole lot less likely to "brain dump" their knowledge of those standards after a formal assessment is completed. Finally, I planned this transformation to occur the first week of the new quarter, when second graders have to shift their focus from narrative writing to informative writing. This can be a challenging writing type, but my students are feeling like confident researchers after completing their first informative writing piece as "park rangers" studying up on one of the animals that live out in their forests. The natural curiosity of humans drew people, adults and kids alike, into my classroom to peek at what was going on. 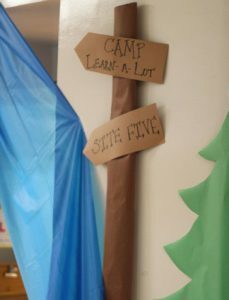 A buzz among other students has led to first graders already anticipating their turn in "Site Five" at Camp Learn-A-Lot. The student interest was expected…what surprised and delighted me were the conversations sparked with other staff members, and not just teachers. The school nurse wanted to tell me about how her own children love learning in real-world settings. Our custodian brought her husband in to show him the set up because she thought it was so exciting. One of the office aides wanted to know my "why", and she totally agreed when I shared that I feel that student engagement leads not only to more excitement about learning, but allows the content to explode with rigor when the buy-in is there. Finally, my students' parents are always so appreciative when their children come home buzzing with excitement about their days at school. These connections fuel my fire! I love the opportunity to talk about my educational philosophy and passion for my career. I'll admit, one of my final hesitations about giving room transformations a go was thinking about the extra work that they'd no doubt entail. My mom, a retired first grade teacher of 34 years, pulled off themed days similar to these room transformations for years. Every time a former student meets up with my mom, they mention "Beach Day", "Dinosaur Day", or one of the many other theme days she did in her room for years! When she finally convinced me to try one in my Kindergarten classroom about three years ago, I discovered first-hand what she'd been telling me for years; the magic and love of learning sparked during these days is more than enough payment for the extra work it might take to plan and set them up. Yes, there is extra planning and set-up when you take on a room transformation. However, I have found what other educators who use room transformations for engagement and rigor claim: IT'S MAGIC! Teachers can fall into a mundane day-to-day routine that numbs our hearts to the purpose and passion we felt when we first chose this incredible career. While I've been lucky to teach at a fantastic school with excellent teachers and a passionate principal, there is a tendency in our world to "work for the weekend". After giving a few of these room transformations a try, I assure you that the magic and fun is there for me too, not just my students. So those extra few hours to set up my room? Totally worth it. Brooke Knowles is a mother, wife, and teacher in Great Falls, MT. She comes from a family full of teachers and loves the profession. After teaching Kindergarten for nine years, she recently switched to teach 2nd grade. 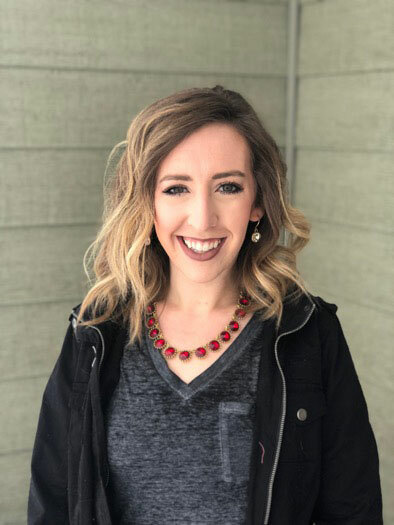 As a self-proclaimed lifelong learner, she loves reading about and trying new ideas to make learning a memorable and meaningful experience for her students.